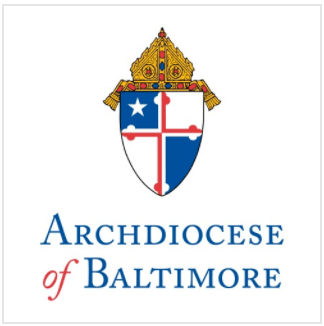 Bishop Denis J. Madden, Auxiliary Bishop of Baltimore, will be joined by Baltimore State’s Attorney Patricia Jessamy and representatives of several city churches that comprise the Baltimore Interfaith Coalition (BIC) on Thursday, May 27 at 10 a.m. at the New Huntington Baptist Church, located at 400 E. 31st Street, Baltimore, to announce two anti-violence initiatives. The BIC will unveil its Declaration against Violence at the scene of two recent gun deaths and launch “Fifth Sunday: Violence to Virtue,” a new program that partners faith communities with the State’s Attorney’s office to stress the importance of values in teaching children how to build community. The partnership will also entail faith communities collecting funds each fifth Sunday of a month (four times a year) for youth-oriented activities, as suggested at State’s Attorney’s Office Juvenile Justice Forums. On January 25, 2010, more than 1,800 people gathered at the Cathedral of Mary our Queen for a prayer vigil service to combat violence. Many called the gathering the largest interfaith gathering in Baltimore since the Civil Rights Movement. It was sponsored by the BIC, an organization created last spring after a meeting between faith leaders and Baltimore Police Commissioner Frederick H. Bealefeld, III in which the Commissioner asked for the aid of faith communities in fighting the growing violence in Baltimore. The BIC is co-chaired by Bishop Madden and Bishop Douglas I. Miles, Pastor of Koinonia Baptist Church. For additional information about the BIC, the Declaration against Violence or the Fifth Sunday: Violence to Virtue program, visit www.baltimoreinterfaithcoalition.com.